Lenovo has added another all in one PC to their range with the launch of the Lenovo ThinkCentre M70z. 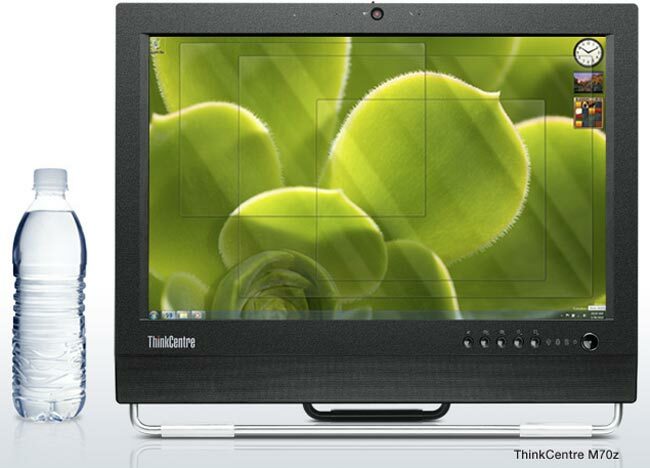 The Lenovo ThinkCentre M70z features a 19 inch LCD display with a resolution of 1440 x 900 pixels. Other specifications on the ThinkCentre M70z include a choice of Intel Core i3 and Core i5 processors, up to 8GB of DDR3 RAM, and up to 320GB of hard drive storage. There is also a two megapixel web camera, a DVDv drive, Gigabit Ethernet, WiFi and a card reader. The Lenovo ThinkCentre M70Z will come with Windows 7 professional and will retail for $1,340.